Have You Had A Jackbox Birthday Party Yet? Everybody knows that Jackbox Games bring the party. But what happens when Jackbox Games ARE the party? 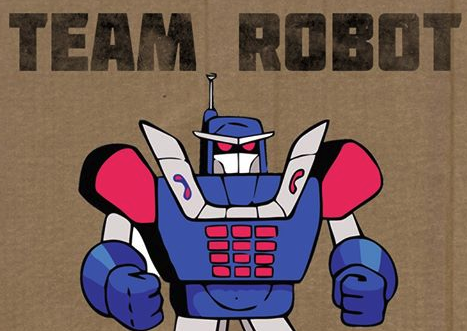 When Jackbox fan Jim Perry turned 50 this year, he decided to test this out! If you’re looking for inspiration about how you can take your Jackbox nights to the next level, look no further! 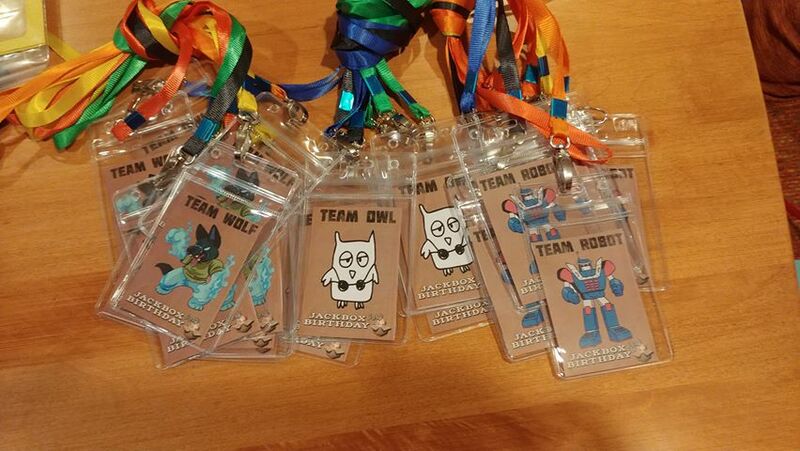 You don’t HAVE to have snazzy lanyards to signify which team you are on but don’t these look cool? Jim’s party involved 3 teams of 6 people playing on separate TVs all at the same time. Yes, there will be that party attendee that demands Trivia Murder Party like Freebird at a Lynyrd Skynyrd concert. To keep things fair and encourage some variety at your party, consider creating a random system for which game comes up next. It also takes some of the pressure off of you as the host. 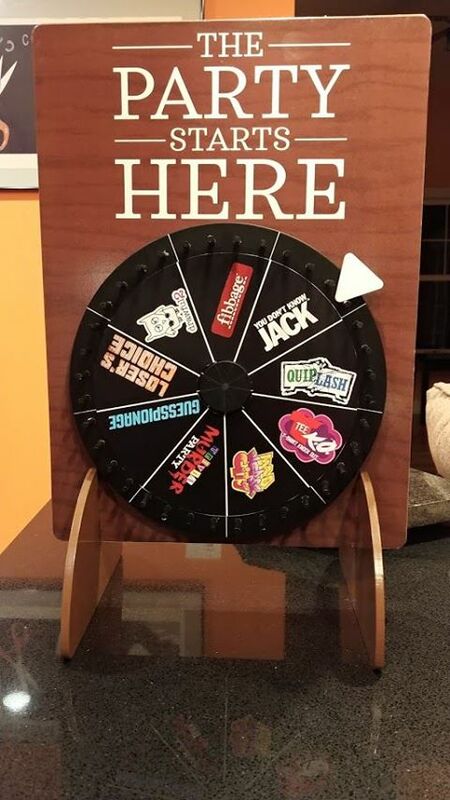 For Jim’s party, they found a prize wheel online and Jackboxified it. Step 3: Make Sure Everyone Has a Good Time! If you’re playing with friends who are new to Jackbox Games, it’s advisable that you spend some time making sure everyone understands how to play. Before they started to keep score, Jim played a few practice rounds with attendees. 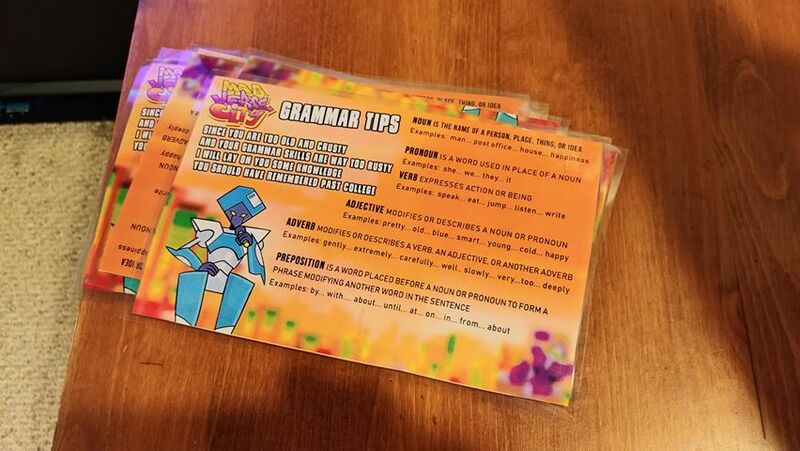 And, to really up the ante, he created these grammar cheat sheets to ensure that everyone’s Mad Verse City raps could pass an English test! Everyone loves a party with stakes. In Jim’s case, they tracked scores in 4 rounds of games and declared a first place winner, a second place winner, and, to keep things quirky, a ninth place winner. (Although, based on this scoreboard, a Jeff was bound to win all along.) A code for The Jackbox Party Pack 5 made for a sweet prize and everyone received an evening of silliness and merriment. Next time you have a birthday around the corner, consider Jim’s sweet setup to guarantee a good time for all! Start building your collection of party packs now.